This month’s theme is about Sound Words. Each day we will write scriptures about having Sound Words. The scriptures are FULL of teaching about how important it is that we obey the truth and that we speak only beneficial words. 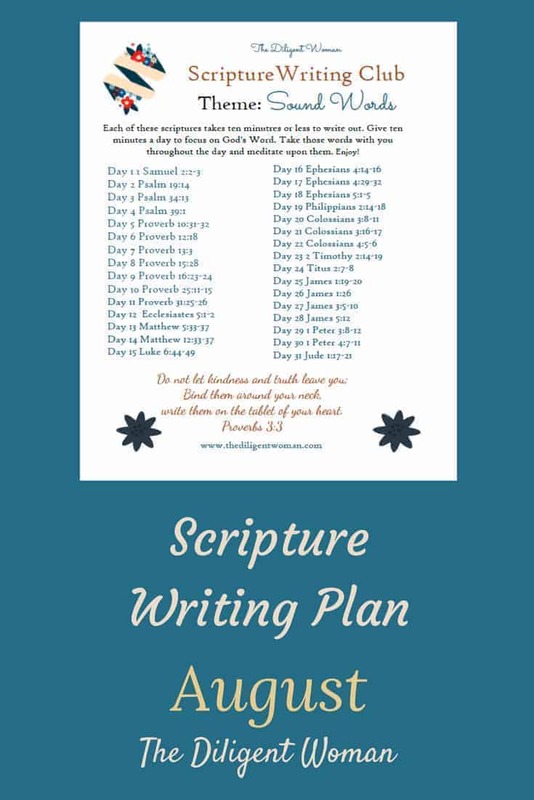 So, for the next 31 days, spend each day writing scriptures about Sound Words. Find knowledge about what sound words are. Learn the kind of language that defines a Christian and sets them apart from the world. Want to get these delivered directly to your email – and a day EARLY? Check out the Scripture Writing Club! Join our email list! 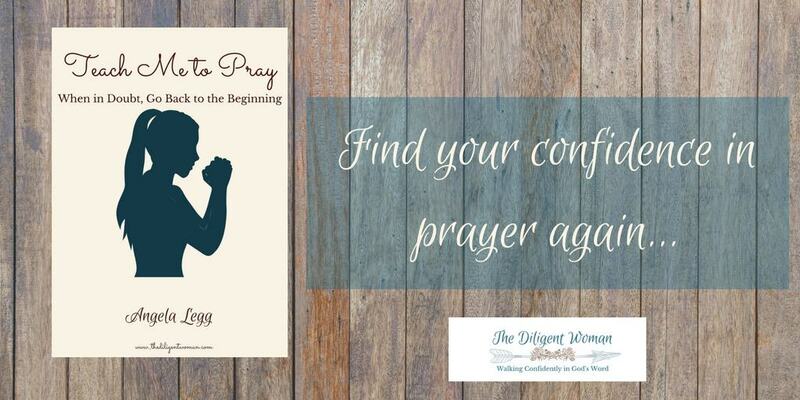 Click the image to sign up to receive a copy of “Teach Me to Pray” and also get updates from The Diligent Woman. Yes – the writing makes those ideas and words like concrete. They become tangible – not just something out there to be believed vaguely.